The objective of the study was to evaluate short- and long-term therapeutic effectiveness of natural thermal mineral waters in patients with knee osteoarthritis (OA). 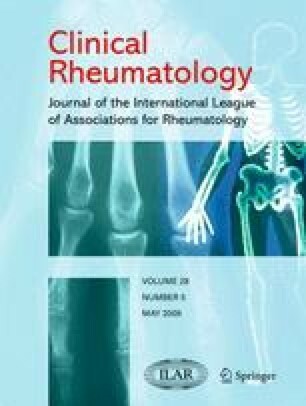 We performed a systematic review of randomized controlled trials (RCTs) testing efficacy of thermal mineral water for treating patients with knee OA. Trials were identified by systematic searches of PubMed, Cochrane Central Register of Controlled trials, and Amed. We used the MeSH terms balneotherapy, balneology, and mineral water in combination with knee and osteoarthritis. Literature screening and data extraction were performed in duplicate. Nine RCTs satisfied the inclusion criteria, all published as full journal articles. Trial duration ranged from 10 to 24 weeks (median 15.33 ± 5.56 weeks). The final sample included 493 patients who provided data at the ends of the studies. All interventions that were used in these trials found out an improvement in pain and functional capacity, which were sustained until week 24. No serious adverse events were reported to be associated with thermal mineral waters treatment. This work provide the most current and comprehensive review of the existing evidence of short- and long-term therapeutic effects of thermal mineral waters in knee OA. Additional RCTs with similar intervention comparisons and outcome measures, bigger sample size, and longer follow-up are required to confirm these results and to assess the biological effect of thermal mineral waters in patients with knee OA. The authors would like to thank Alain Françon MD and Romain Forestier MD (Aix-les-Bains Rheumatology and Spa therapy Research Center, France) for assistance in obtaining references.